Choosing the right pickup for your acoustic guitar can be just as challenging as picking the guitar itself. Capturing an accurate acoustic guitar sound in the studio requires high-end microphones and very expensive studio equipment, so it can seem like a daunting task to try to accurately recreate that studio quality acoustic guitar sound in a live environment. In this article, we're going to discuss the different types of Acoustic Guitar pickups – their strengths, their weaknesses and how to select the best one for your needs and your guitar. How does a pickup work, anyways? No matter the design, a pickup is simply acting as a transducer, which means that it converts one type of energy into another. All types of guitar pickups convert the sound vibrations from the strings and body of the guitar into electrical energy that can be passed on to an output source, such as a preamplifier or directly to a PA system through a direct box. The differences in each type of pickup lie in the way that they respond to the vibrations of the strings and soundboard and how accurately they can convert them into an electrical current. Knowing the design of each pickup type will give you a better idea as to which system is right for your style. 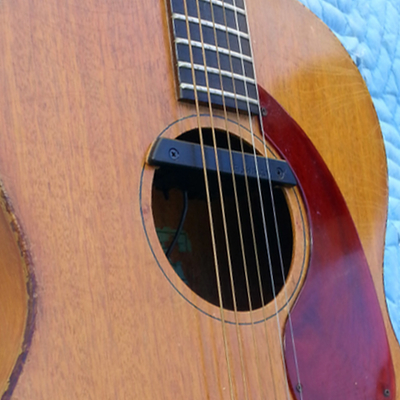 Perhaps the most common type of acoustic pickup is the undersaddle pickup, which consists of a small strip of six piezoelectric crystals that sit underneath the bridge and pick up the individual strings from underneath the bridge. 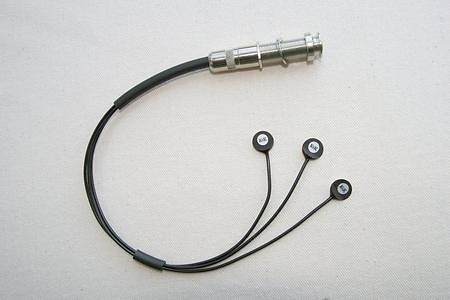 These piezo pickups are very inexpensive and reliable and require minimal modification to the guitar itself. Piezo pickups are passive in design and, as a result, give very low output. They usually require a matching preamp to be installed in the guitar (which can mean routing out of the side of the guitar) or mounting the preamp and required battery inside the body of the guitar. Piezo undersaddle pickups by nature tend to have a very bright output. Because the pickup does not touch the soundboard, it only replicates the sound of the strings and not the body of the guitar. This can be a benefit when playing with a band or larger ensemble as the sound of the pickup will cut through the mix well. The downside to this is that many people find this pickup configuration thin sounding and lacking in the rich complexity of the sound of a natural acoustic guitar. Another benefits of this design is its ability to be played at louder levels without causing unwanted feedback. Cons: Thin sounding, bright output. Does not pick up the vibrations of the top of the guitar. Ideal for: Players who need an acoustic sound to cut through a band or larger ensemble without feedback issues. Magnetic pickups use the same electromagnetic technology to capture the strings of the guitar as electric guitar pickups and as a result, the sound produced is very similar to those on an electric guitar. These pickups usually mount directly above the strings in the soundhole of the guitar, and do not require any holes to be drilled into the guitar to install. Another benefit of magnetic pickups is that they are not permanently installed in the guitar and can be easily changed out or removed at any time without causing irreparable damage. As one might expect, magnetic pickups are excellent at capturing detailed string response, as they sit directly underneath the strings without having to sense vibrations from the bridge. Natural harmonics have exceptional clarity with most magnetic pickups, and they do a great job of capturing each string evenly across the guitar as individual pole pieces on the pickup can be adjusted for an even balance between each string. Feedback from the sound hole of the guitar is a concern, but again, the design of these pickups allow them to be played in high volume situations with minimal feedback issues. 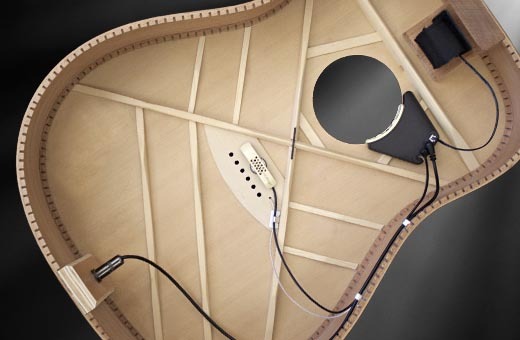 Because of their similarity to electric guitar pickup designs, acoustic magnetic pickups can give the guitar a slightly more "electric" or artificial sound, and as a result can mask the character of the guitar itself. Like an undersaddle pickup, most magnetic pickups do not pick up the vibration of the top of the guitar, and only amplify the strings. This can result in a thinner tone. Pros: Easy to install and replace, balanced string response. Exceptional string response. Cons: Artificial, electric quality to the sound. Removes the natural acoustic properties of the guitar. 60-cycle hum in single coil pickup designs. Ideal for: Electric players who want to "go acoustic." Players who like to switch out and try different pickups without damaging their guitar. Vintage guitars that are too valuable or fragile for extensive routing to install a permanent pickup. Contact pickups consist of one or more sensors that can be mounted underneath the bridge or placed on the top of the guitar. These pickups can sense the vibrations of the top and body of the guitar and use that to amplify the instrument. Contact pickups have a very rich and warm sound, due to the fact that they pick up both the strings and the top vibrations of the guitar. These pickups tend to produce the most natural and authentic sound of the three pickup designs, but also tend to have feedback issues at higher volumes more frequently than the others. As a result, contact pickups tend to be more difficult to use in a larger ensemble settings and can sound very bass heavy if not EQ’d properly. If you’re a solo act or play in a small ensemble that needs to be amplified, this is the best way to achieve a "mic’d" guitar sound without using an actual microphone. Pros: Replicates tone of the strings and body of the guitar. 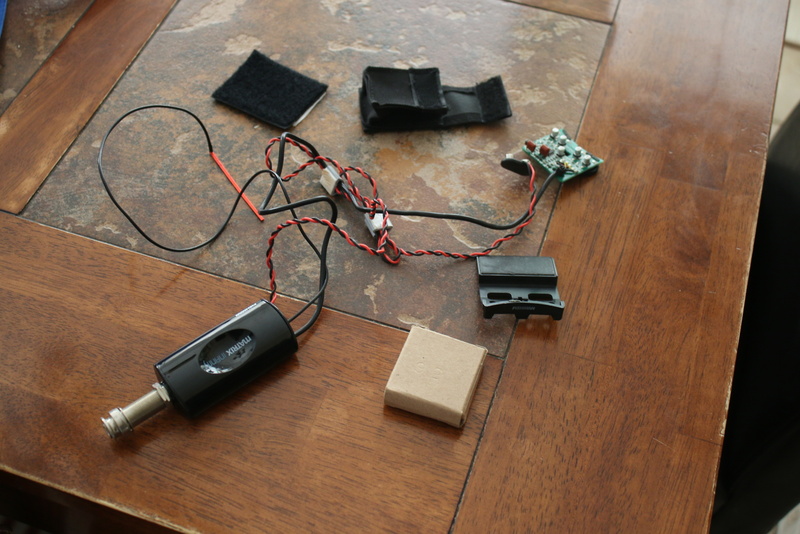 Produces a very natural acoustic sound without the use of a microphone. Captures the strings and body of the guitar equally well. Cons: Feedback issues at higher volumes. Difficult to use in larger ensembles or band settings due to feedback problems. Ideal for: Fingerstyle guitarists, and players who mostly perform in solo or duo settings. Players that incorporate percussive techniques in their playing. Blended pickup systems combine one or more of these pickup types with a condenser microphone built into the pickup system. These systems are designed to add some of the natural resonance of the guitar back into the signal with the microphone and blend it with the pickup source to create a full range system. There are several combinations of microphones with undersaddle, magnetic, and contact pickups available, and they can often be the best solution for guitarists needing several options when choosing a system to install in their guitar. These systems usually can be blended into a single output using a TRS (tip-ring-sleeve) 1/4 inch cable or by installing two separate outputs for each sound source. Blended systems can often smooth out some of the harsher qualities of a magnetic or undersaddle pickup by combining it with the warmth of the built in microphone. The benefit to these systems is that each output can be mixed together, or one source can be eliminated if it is causing unwanted feedback. The downside to these systems is that they are the most expensive and will often require some modifications to the guitar, such as a second output jack. Pros: A "best of both worlds" approach. Combines the best qualities of each pickup type with a microphone to capture a full, natural sound. Cons: Expensive, requires special cables and/or modification to your guitar by adding a second output jack. Ideal for: Anyone wanting to capture the full range of their guitar using several sources that can be mixed together. Choosing the right pickup for your style of playing can be tough given the amount of pickup options out there for acoustic guitarists. The search for my ideal pickup was a long one, having installed and removed at least 7 different systems before I settled on the system I’m currently using (the K&K Pure Mini). I’m still considering adding a magnetic pickup to my system someday. My best advice for anyone looking to choose a new pickup is to read the reviews, listen to audio samples, and simply trust your ears. Hopefully, this article will give you a place to start in choosing the best system for your guitar and playing style. Good luck and happy picking! ABOUT THE AUTHOR: Donovan Raitt is an acoustic fingerstyle guitarist based in Orange County, CA. His latest album of solo guitar music "Perusing the Horizon" was produced by Antoine Dufour and is available now. You can visit his website at www.donovanraitt.com or follow on twitter @draittgtr.